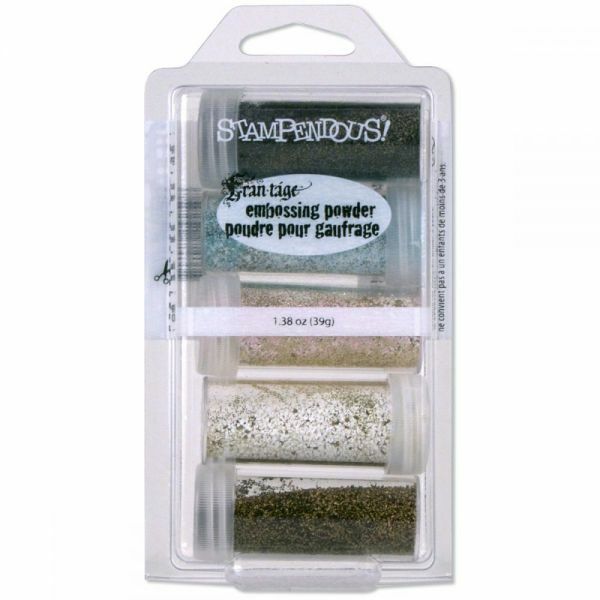 Stampendous Embossing Powder Kit 5/Pkg - STAMPENDOUS-Embossing Enamel Kit. 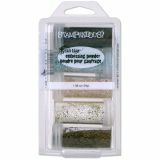 A set of chunky vintage-inspired embossing powders that accept glitter and mica well and provide a thick layer of enamel to projects. For best results use a slow- drying ink and heat from the underside. This kit contains five colors of embossing enamels: Aged Silver (opaque), Shabby Blue (opaque), Shabby Pink (pastel), Shabby White (opaque), and Aged Gold (opaque). Total weight: 1.38 ounces (39g). Made in USA.